Today was an extremly good day, after yesterday&apos;s run I felt compelled to do the same run today. And so I did, its kinda remarkable that I have only once or twice been running two days in a row. 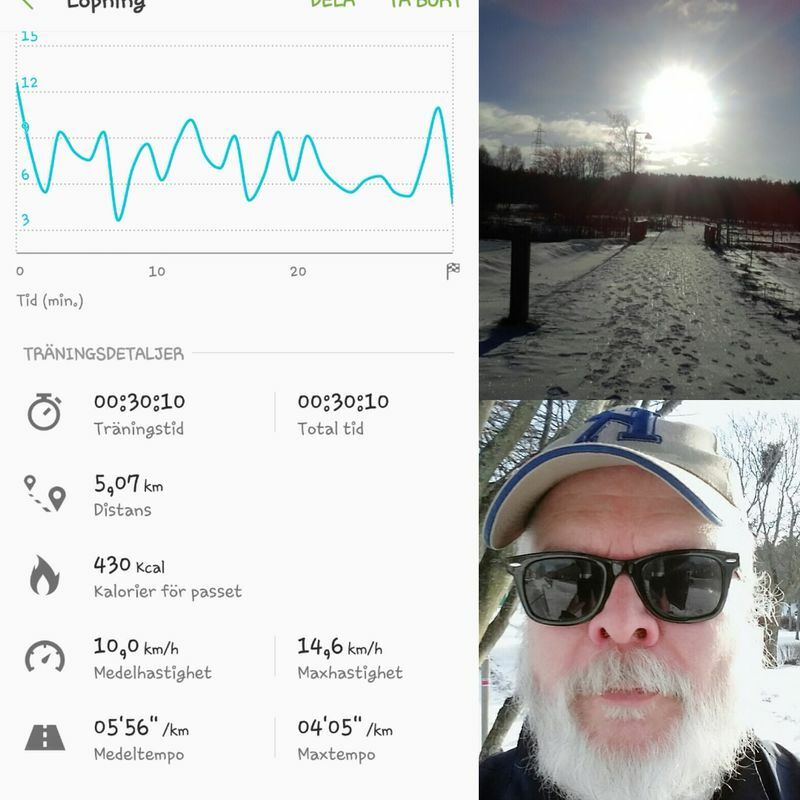 So, back to my run today, in perfect conditions -5 degrees and sunny, the roads was better today so my time was better also. I got my 5 km under 30 minutes, which is a kind of mark for me to see how my running is. Hopefully before February&apos;s end I will get a time around 25 minutes at 5 km. Grateful my 58 years young body is still healthy and strong. And in constant improvement. And I know that it will last me long if I do maintenance on it. Train it. And eat well.